Men concerned with being manly continue to dismiss facial moisturizers as too feminine. The stigma surrounding health and beauty care products like facial moisturizers hasn’t changed. What’s more important to you? Your manliness protected, or an anti-aging, acne-fighting remedy? We encourage that all men at least consider using a trusted facial moisturizer. The benefits are plentiful. Plus, daily use will lead to a healthier body, improved self-image, and rejuvenated appearance. 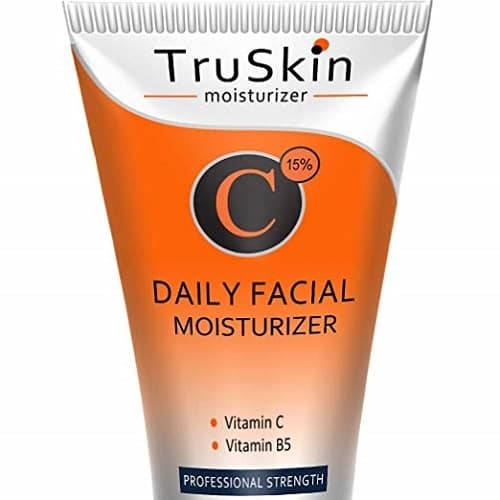 Facial moisturizer providers have generally marketed skin care products towards women. In part, they have continued the stigma. However many companies are starting to branch out and encourage men to use their products. Just as natural conditioners for men are on the rise, so too are moisturizers. 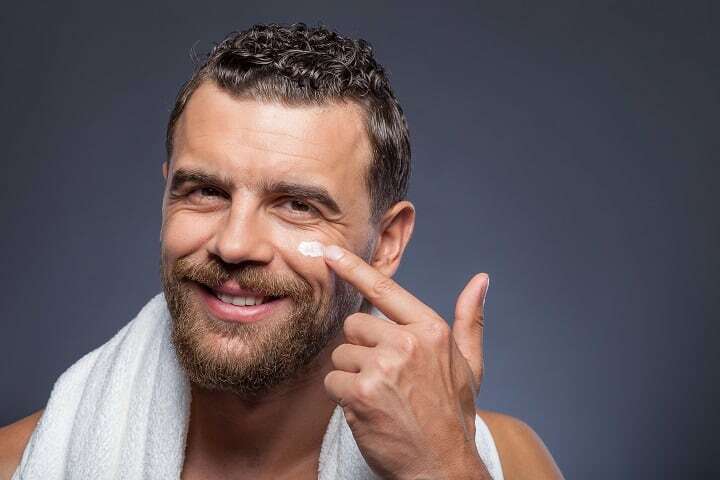 Within the past few years, it’s become more likely for a man to take advantage of a quality moisturizer to improve and protect his overall health and image. It’s not just a women’s thing anymore, guys. 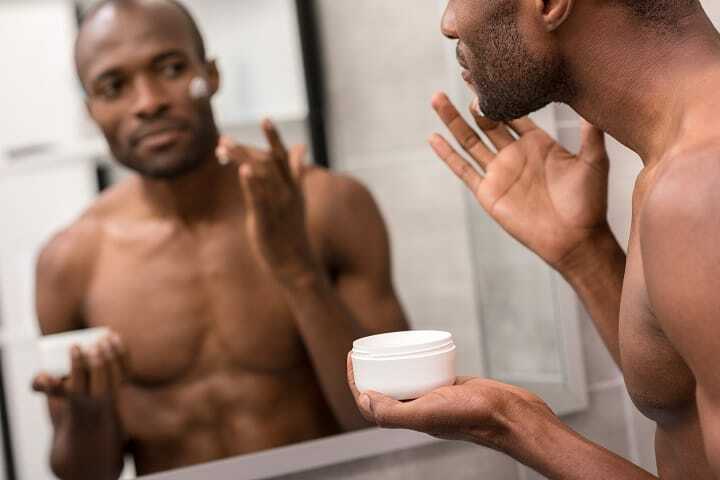 Here are a few reasons why you should consider skin care products: why they are beneficial to men, what products to use, and how to use them. 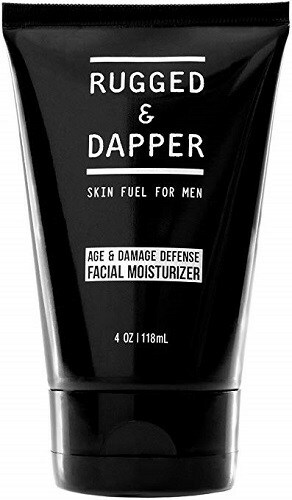 What Is a Facial Moisturizer for Men? What Are the Benefits of Using It? Facial moisturizers are dermatological products designed to revitalize all skin types and conditions. They come in the form of face creams, liquid moisturizers, ointments, and lotions. All of these are designed to soothe skin and boost hydration. Facial moisturizers prevent all kinds of skin conditions such as face rashes, irritation, acne, and pimples. Preventing these conditions will relieve you of stress. You’ll get to worry about how you look less. The health and wellness industry already have promoted images of women feeling rejuvenated because of facial moisturizers. But underneath masculinity pressures, all men want to look and feel their best. 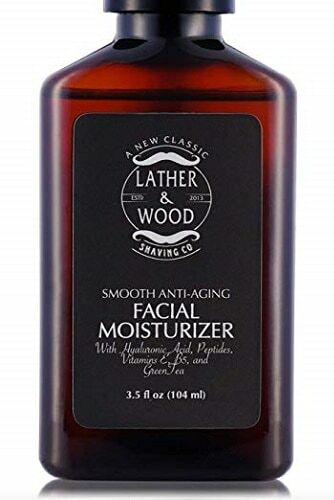 Facial moisturizers are a healthy method for men to improve and protect the quality of their skin. It’s easy for men to assume that the skin doesn’t need much care. However, it’s just like any other part of the body and needs to be thoroughly washed, cleaned, and maintained. The top-notch beard oils won’t help if you aren’t doing everything you can to maintain and moisturize your skin. Moisturizing is just as important as showering: it cleans the skin of invisible residue that builds up from everyday exposure to the elements. You may not be able to see it, but it’s there. The buildup will accumulate unless removed through self-care. When applied to the face, moisturizers add a protective layer to your skin. This shields your skin from accumulating buildup and flaking. It also gives your skin a healthy glow. People will notice the difference: it will be as if you got a new layer of skin altogether! You probably will feel rejuvenated and notice the effects of moisturizer immediately. You’re cleaning and protecting your skin: what’s not to love? The skin is just like any other part of the body. It needs to be cared for. Moisturizers are an easy solution to fight skin conditions, protect your body, and improve your overall appearance. What Ingredients Should The Best Facial Moisturizer For Men Have? Nothing makes or breaks a skin care product like its ingredients. Just like if you were seeking natural beard conditioners, you’d want only to find only natural ingredients, the same goes for moisturizers. The quality of a product’s ingredients determines how it will affect your skin. A great product will give you long-lasting and noticeable results. A mediocre one will leave you resentful. A bad one is dangerous. There are a few ingredients to look for on every label or product description before purchasing. The best facial moisturizers will have one of these ingredients. Most likely, however, they will have a combination. Together these components can clear away dead skin and leave a shiny surface. 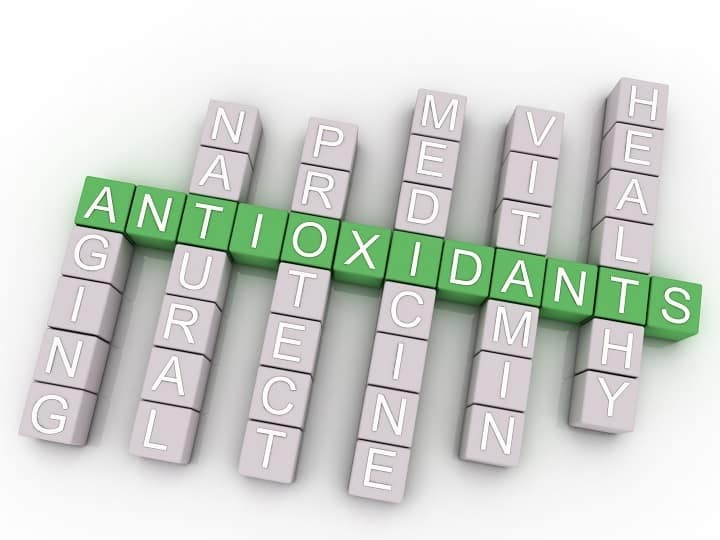 Antioxidants repair damage and neutralize unstable oxygen molecules. These molecules break down the skin’s tissue and lead to wrinkles over time. Antioxidants fight this process and go along way towards a youthful appearance. Some examples antioxidants are green tea, pomegranate, vitamin A, and most commonly vitamin C. A good moisturizer will use antioxidants to keep skin fresh. This is common in most products because of its exfoliating capabilities. The exfoliation process removes top layers of the dead skin cells. Exfoliation replaces dry and dirty dermal layers with new and healthier layers underneath. The process also boots collagen. This increases skin health by repairing cells within the deepest levels. Retinol is a critical ingredient found in the best products. Skin products commonly use ethyl alcohol or are astringent based. These work to moisturize and prevent excess bacteria buildup as well as zits. Word of Caution: Those with sensitive skin should stay away from alcohol-related products because of their harsh quality. These mildly acidic chemicals are naturally found in fruits and remove dead skin cells. You’ll benefit from a smooth top layer after use. There are also ingredients to always avoid found in cheap and hazardous moisturizers. Contrary to what you want from a moisturizer, products with this chemical cause irritation and an imbalance of natural oils. These oils clean the skin naturally, but this chemical will deplete your body of this resource and replace it with acne. 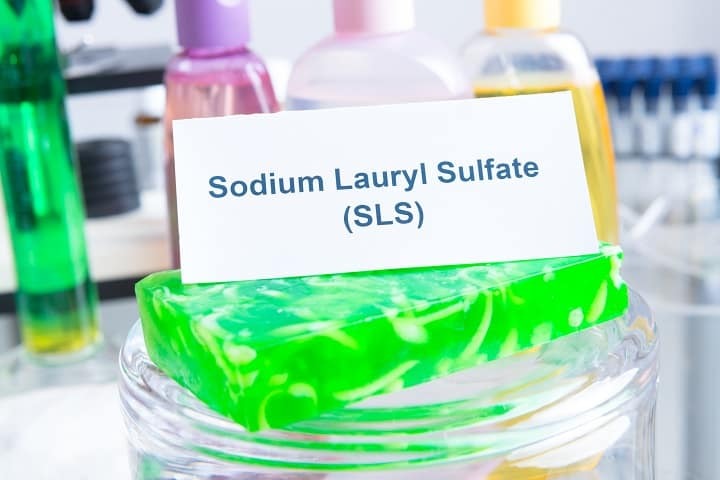 Sodium lauryl sulfate is one of the worst chemicals you can expose yourself to. If possible, you should avoid it in all products. It is often also in shampoo, body wash, and even toothpaste. It’s scary to think that something like butylated hydroxyanisole could be sold on the market, but it’s true. This “human carcinogen” is often found in perfumes and fragrances. It can also be found in moisturizers products to add scent. Encountering this product can trigger skin depigmentation. Trust us, you don’t want this so always check labels! This common in body and face washes. Polyethylene is gentler than other exfoliators. 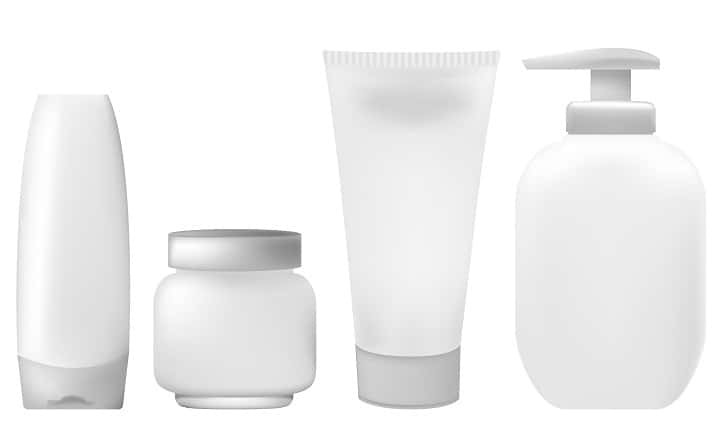 A company might lure you into buying a product with polyethylene if you have sensitive skin. However, these are synthetic chemicals that contain pollutants if applied to broken skin. Ingredients change the way moisturizers work on our bodies. Each person’s reaction to a moisturizer also depends on their type of skin. Even the best face washes with quality ingredients might not be right for your skin type. The same holds true for your moisturizer. Before taking home a product, you must first identify your skin type. This is so you can find the ideal moisturizer for your body. Those with oily skin might think it makes sense to purchase an oil-based moisturizer. However, it’s just the opposite. Adding additional oil to your skin will make your face too shiny. Rather than working with the oils already in your skin, it will just add more on top. Always choose a dry moisturizer instead that’s designed to combat heavy natural oils. Men with sensitive skin often suffer from razor burns or stinging from an aftershave. Their skin just isn’t meant to work well with harsh exfoliating products. If you purchase a moisturizer that causes irritation or stinging, stop using it immediately. Dry skin is prone to flaking or cracking in the winter months. People with this type should always get products with as many moisturizing agents as possible. Hydration is key for those with dry skin. If you find the right moisturizer, you’ll start to feel a noticeable smoothness. 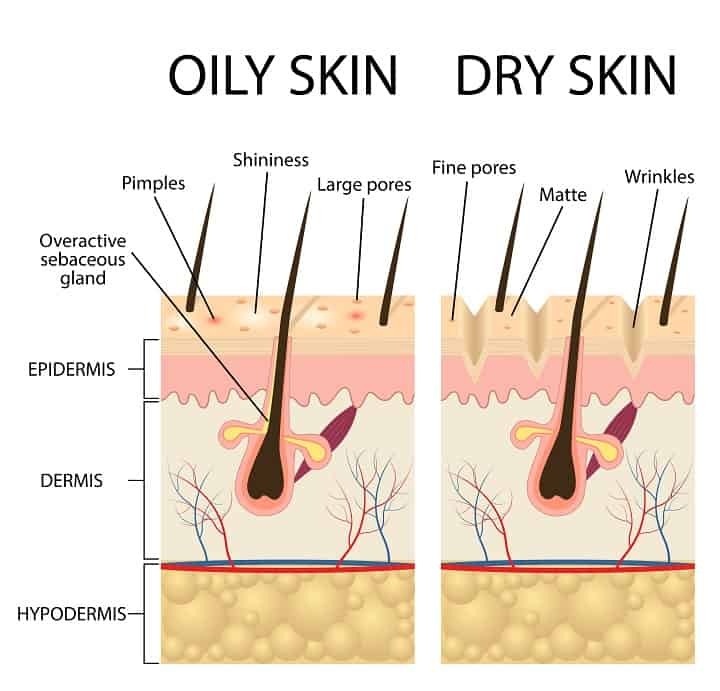 Most people have skin that fluctuates between dry and oily. You’re best off with most products as long as they aren’t too oily, too hydrating, or excessively harsh feeling. Remember that moisturizer application should always feel light and seamless. If your product is uncomfortable, it’s best to try another. It’s possible to have a sensitive and dry skin. You might also have normal skin that’s prone to dryness in specific weather. It’s possible that with alternative hormonal levels, climate change, and illness, that your moisturizer needs will adjust. As you use your product, check in with yourself. Is this working? Am I getting the results I want? Is this product hydrating my skin, clearing my face, easing wrinkles? Whatever your skin type may be or how it changes, always know that there’s a product that’s meant for you. If the product you’ve used for year stops paying off, don’t hesitate to switch. There are several types of moisturizers that will affect the way your product feels and works on your skin. Companies factor in skin types, ingredients, and the physical substance a moisturizer is made out of to create products for specific people. You might think lotions are synonymous with creams, but you would be wrong. Lotions have a higher water percentage. Lotions are light and absorb easily. Lotions are for normal skin and act as a daily moisturizer in warm months. In contrast, creams have a higher oil percentage than lotions. Therefore, they are better for those with dry skin looking for a fast-acting remedy to cold weather. Ointments are a highly oil-based material that’s intended specifically for medicinal purposes. It’s a great method to combat skin irritation. It’s also possible to encounter face gels on the market. These look exactly how they sound. These are water-based and transparent substances that absorb quickly. They are completely oil-free, so they’re a great remedy for those with highly sensitive skin. Pretty much all hydrating moisturizers will counter aging. However, you’re likely to find products that are marketed as anti-aging specific solutions. These can come in the forms of creams, cream-gels, and even vitamins. Before jumping on a specific anti-aging cream for men, consider whether the material is geared towards your type of skin. Another specific type of moisturizer niche is energizing moisturizers. These are moisturizing products designed specifically to reduce skin fatigue. These are full of antioxidants and even out skin tone, keep you hydrated, and boost collagen. Many users wear energizer moisturizers to reduce bags underneath the eyes. Energizing moisturizers focus on the look of your skin. Therefore, they affect how you feel entirely. They can come in all forms of moisturizer as well. They have the potential to double as an eye cream for men when applied to the face. Those with sensitive skin or sun sensitivity should look for SPF (Sun Protection Factor) infused moisturizers. SPF infusion will provide additional protection from harsh sun exposure. It will significantly reduce the risk of melanoma and other sun-exposure related illnesses. Using a facial moisturizer daily is like slipping into your best pajamas: it’s a comfortable process! It’s a simple step-by-step routine. But, it’s important to follow for maximum results. This is an often overlooked step but critical before applying any product. You’re rinsing your face of buildup accumulated throughout the day. This allows you to prepare for a clean smothering of healthy ingredients. If you don’t wash, you’re applying your product to a dirty surface. Every moisturizer will come with specific daily quantities to apply. However, a rule of thumb is to only use a fingertip portion at a time. Using too much can overwhelm the skin. Using too little won’t be effective. Gently dab one area of the face with your finger. Rub the moisturizer in with your finger until the whole area has been covered, then move above or below. Using a smaller portion ensures thorough and controlled coverage of all parts of the face. Choosing the best moisturizer is about knowing yourself. If you can identify what skin type you are and what your skin needs, you’ll be able to pick the best face moisturizer. Using facial moisturizer might trigger you to change all aspects of your self-care routine. For instance, if you have facial hair, you might want to consider how to revitalize your appearance further, such as with high-quality beard balms. If you’ve started using a moisturizer but are still suffering from irritated skin, you might want to also reconsider what razor you use. Facial moisturizer won’t fix skin irritation alone if you’re not using a shaver or professional shaving cream that’s best for your skin. A lot goes into maintaining your facial appearance, but it’s worth it. Your face introduces you to the world. Why not strive to appear as confidently as you’d like to feel? All natural and organic ingredients such as aloe, jojoba oil and green tea in Brickwell Face Moisturizer will surely make your skin clearer and firmer. This fast-absorbing, oil-free facial cream will also leave your skin hydrated, nourished and renewed. By applying it regularly, a man of any age and skin type can benefit from this product. For the best results, you should use it in the morning and before bed, after washing your face. The product does come in a small bottle, but a little goes a long way, with only a dime size needed to cover the entire face. As mentioned before, the product is 100% natural and it contains zero sulfates, parabens, glycols, glutens and similar ingredients. Also, you can choose between scented and not-scented version. With the first appearance of fine lines and wrinkles, uneven skin tone or post-shave irritation you should reach for Rugged & Dapper. It’s developed for men of all ages and most skin types, but to be sure, make a patch test since it isn’t very suitable for sensitive and acne prone skin. This highly effective formula quickly absorbs with a shine-free finish and it acts without any fragrance. Moreover, this product has multipurpose benefits. It’s a facial moisturizer, anti-aging cream and soothing aftershave all at once. It comes in a 4 oz tube and you can apply it as needed. Most importantly, this product is made out of natural and organic ingredients. List of ingredients includes hyaluronic acid, aloe vera, jojoba oil, shea butter and more. 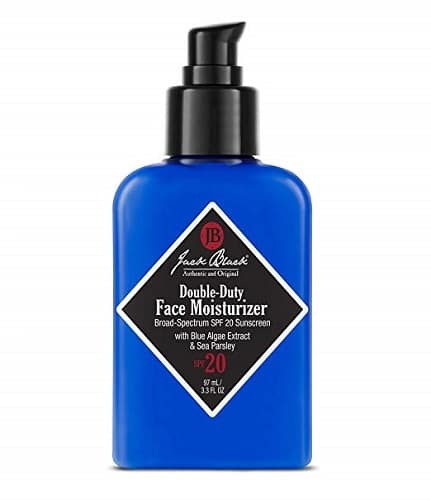 Featuring facial treatment and sunscreen all in one product, Jack Black is an ideal moisturizer to use throughout the year. All of its ingredients contribute to improve skin appearance and to reduce skin damage caused by external factors. Blue algae extract and sea parsley are rich in vitamins and minerals and rosemary fights bacteria and boosts healing. All of the ingredients combined provide hydration and help delay aging caused by the sun. This face moisturizer comes in a 3.3 oz bottle and contains SPF 20. It’s recommended to apply it 15 minutes before the sun exposure. However, you might not like the smell. 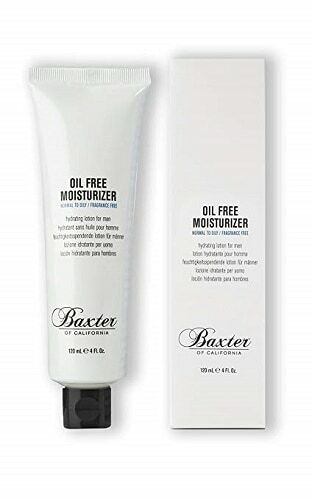 Oil-free moisturizer with plant-based ingredients, such as Baxter of California, will leave your skin looking healthy and soft. Key ingredients are aloe vera, chamomile and green tea extract and they work in helping you protect against the free radicals while healing your skin at the same time. This moisturizer is exceptionally friendly toward the oily and sensitive skin. It quickly absorbs and makes your skin instantly hydrated. You may use it in the morning and at night. You will notice the skin texture improvement soon after only a few usages. Most importantly, this product doesn’t leave your skin greasy and shiny. In case you are prone to breakouts, you should do a patch test before using this product. 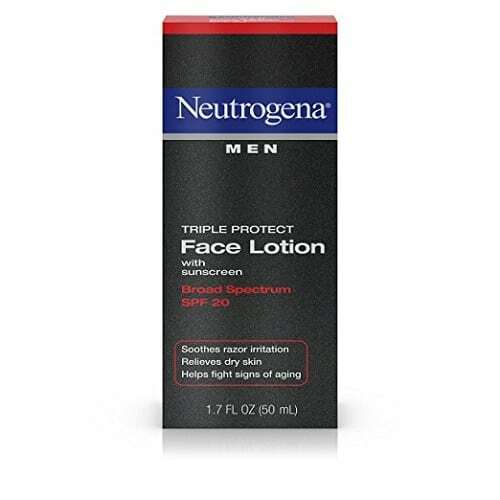 Instead of buying three different products, with Neutrogena face lotion you’ll have the ultimate solution. This product does all, from helping you soothe razor irritation, to defending you against the signs of aging to relieving dry skin. In addition, it’s also SPF 20 sunscreen. By reducing rough texture and fine lines, it provides moisture for healthy, smooth skin. The moisturizer itself is light and non-greasy. Another plus is it won’t clog your pores as it is non-comedogenic. Changes on your skin will be noticeable since the first day of application. Finally, be sure to make a patch test, since some men say it caused them itchiness. When using Elemis, you will notice an immediate improvement in softness and skin health. With the ingredients like green tamanu oil, chestnut and bamboo your skin will feel smoother and appear younger. Because it leaves a clean, silky feeling this moisturizer is suitable for both oily and dry skin. Just apply it in the morning and evening to face and neck to feel its effects. Thanks to its soothing and hydrating features, it’s especially suitable to use after shaving. Also, it protects from harmful external pollutants. Lastly, even though the product is contained in a relatively small bottle, it can last up to even three months. 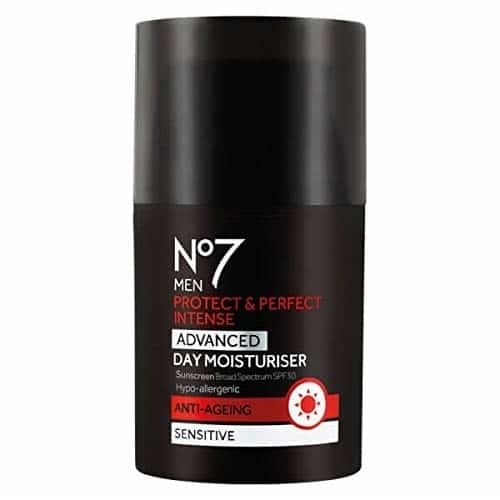 An intensely hydrating complex, together with SPF protection and renewing ingredients in NO7 protect from sun and also act as an anti-aging cream. By helping defend your skin from premature aging caused by damaging sun rays, these ingredients preserve skin health and increase its vitality. The product is stored in a 1.69 oz bottle. Despite the fact there is a little product in the bottle, it is applied with a pump dispenser and it only takes a pea size to cover the whole face. When using an excessive amount and also depending on your skin type, it may leave a greasy finish. However, since it’s hypoallergenic, it’s appropriate for all skin types, even for the most sensitive one. Anti-wrinkle and firming properties of L’oreal Moisturizer fight against signs of aging and hydrate your skin for up to 24 hours. Pro-retinol A found in the product reduces the appearance of wrinkles and makes skin feel firmer. Active defense system, which contains peppermint leaf extract protects against redness, burning or tightness, so it makes a great aftershave. To maintain smooth and firm skin apply it two times a day on face and neck. It’s initially made for men over 45, but anyone with minor facial wrinkles and in need of a firmer skin can use it. However, the fragrance is not enjoyable for everybody. Also, it doesn’t dry out the skin, but it’s slowly absorbed and might be sticky. The combination of chamomile extract and aloe vera in Nivea Men Moisturizer, along with no drying alcohol, leave your skin smooth and healthy looking. It’s recommended to use it twice a day to improve your skin tone and texture. Also, it makes an excellent aftershave, as it leaves a fresh feeling on your skin. Sensitive and dry skin will benefit the most from this moisturizer, but it’s suitable for most skin types. Some customers reported that this item might not work well for skin prone to breakouts. Besides that, the product is fast absorbing and deeply moisturizing. Lastly, the scent is pleasant and not at all overwhelming. Combined with vitamin C and organic ingredients TruSkin Moisturizer smooths and hydrates skin, giving it a healthy and glowing look. It will improve your skin texture, leaving it free of hyperpigmentation and dark spots. In addition to that, it also has anti-aging properties so it will lessen the occurrence of wrinkles. The best way to use it is to apply it twice a day generously. However, as this product is plant-based, you should be careful before using it. If you are allergic, it may cause irritation and breakouts. It is recommended to take a patch test before applying it on your skin. Lather&Wood Moisturizer is designed to hydrate, repair and balance your skin. Ingredients are mostly all natural, such as jojoba oil, shea butter, hyaluronic acid and more. This product comes in a 3.5 oz bottle and is completely fragrance-free. More than that, it also acts as an eye cream. Because of its formula, it suitable for both dry and oily skin. Use it in the morning and night by applying it on the face and around the eyes. The texture is thick, so it only takes a little to cover the entire face. The pump is hard to work with because it doesn’t pump out the cream in needed amounts. Photos from: decathlon1 / depositphotos.com, AllaSerebrina / depositphotos.com, dacasdo / depositphotos.com, Amaviael / depositphotos.com, Neokryuger / depositphotos.com, Willypd / depositphotos.com, iakovenko123 / depositphotos.com.